In November, 38 Crescent boys from the Lower, Middle and Upper Schools, along with their parents and faculty members, took part in the Crescent School Choir Tour to France, Belgium and the Netherlands. 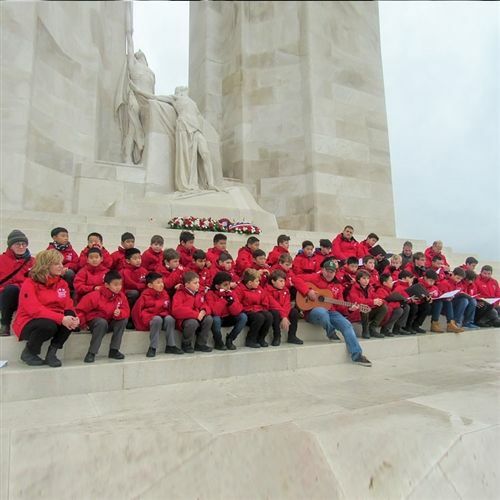 During the 10-day trip, the choir performed at the Canadian National Vimy Memorial and at the Canadian War Cemetery in the Netherlands, at the Menin Gate, and at a special ceremony at the Arras Memorial marking the centenary of the World War I armistice. Crescent’s November choir tours began in 2004, providing the participants with special insight into Canada’s history as they paid tribute to fallen soldiers.